Swiss-based global health company Vestergaard manufactures award-winning LifeStraw water filters and purifiers. First introduced in 2005 as a personal “straw-like filter, the LifeStraw portfolio has grown to include technologically advanced products fit for all purposes — from the personal LifeStraw, to the LifeStraw Go refillable water bottle, and LifeStraw Mission, which can safely purify 18,000 litres of water, removing over 99% of bacteria, protozoa and viruses that can contaminate water; exceeding US Environmental Protection Agency drinking water standards. To celebrate World Water Day, which was on March 22nd, we are talking about the LifeStraw Follow the Litres campaign which provides children in developing communities with much-needed access to safe water. The ultimate goal of the LifeStraw Follow the Litres program is to increase sustainable access to safe drinking water for school children in developing communities. Here’s how it works: For each LifeStraw product purchased by a consumer in Europe or North America, one school child in an a rural community in Africa is provided with access to safe drinking water for an entire school year. 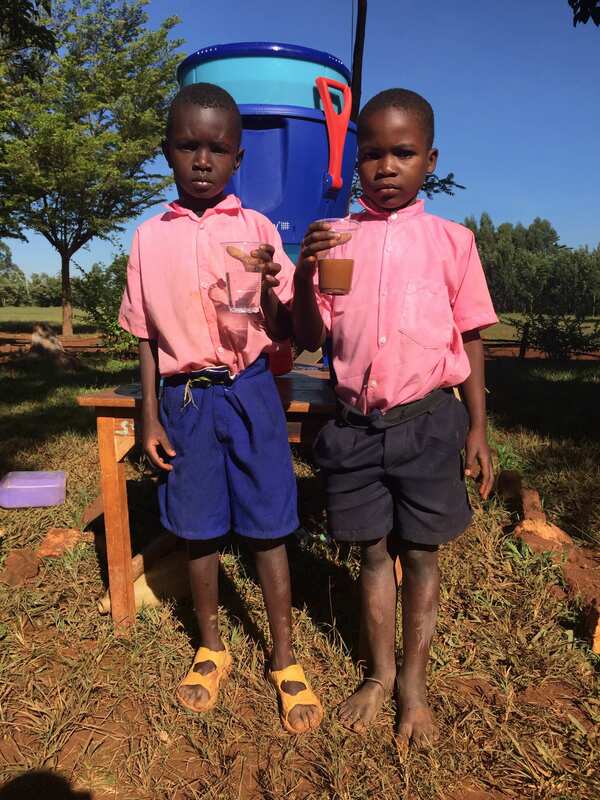 This is accomplished because a portion of the proceeds from consumer sales is used to purchase and distribute high-volume LifeStraw Community water purifiers to schools in Kenya. Not only does this prevent children and families getting ill from diseases, such as typhoid and cholera which is easily spread through contaminated water, but it also increases the quality of education for these children since they have far fewer absences due to illness. 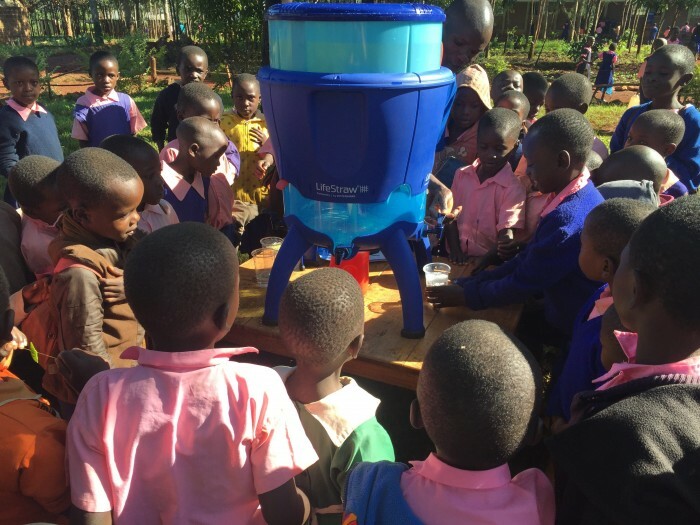 The first major distribution of the LifeStraw Follow the Litres program was launched in western Kenya in 2014, and over the past two years the program has successfully provided hundreds of schools across four counties in rural Kenya with safe drinking water. 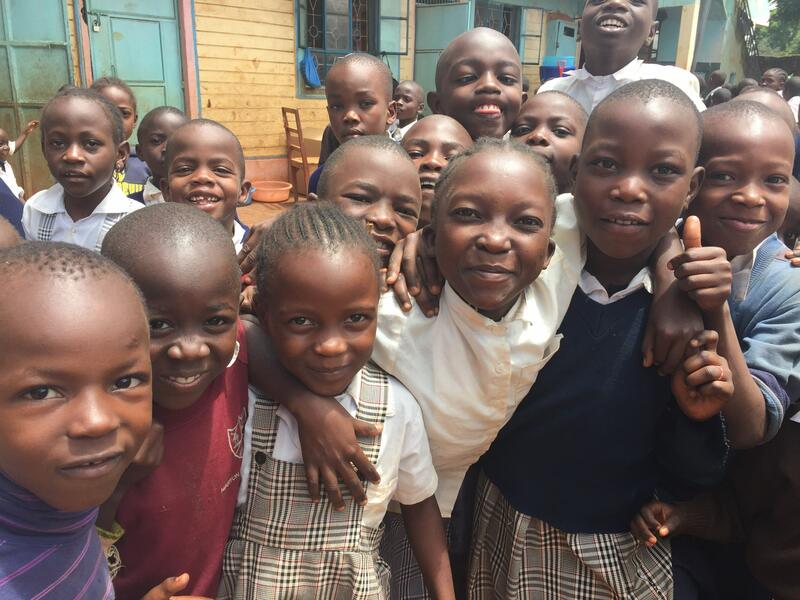 To be exact, 361,000 students in these communities now have ongoing access to safe drinking water. The funds from LifeStraw’s ‘Follow the Litres’ campaign also supports comprehensive health education and training on how to properly maintain the water purifiers. Quarterly follow up visits and routine maintenance ensure that the purifiers are used properly and have a real, sustained impact on the health of these school children. Over 2.5 million children miss school each day because of illnesses from unsafe water. In rural Kenya alone, 43% of their drinking water is collected from rivers and springs that have been contaminated by animals and even pumps and taps let out dirty water due to flooding in the rainy season. Offering safe, clean water alone can result in a 42% reduction in absenteeism and a comprehensive programme to improve school water quality can result in nearly a 50% reduction in diarrhoeal illness. LifeStraw products are sold in Europe and can be purchased in retail stores or online. For more information visit www.lifestraw.com.